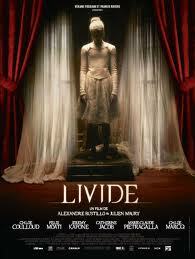 Livide is a 2011 French supernatural horror film directed and written by Julien Maury and Alexandre Bustillo. 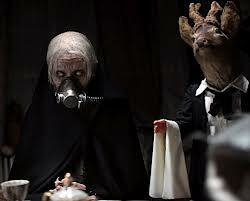 Within a vast, desolate and slowly decaying mansion an ageing woman lies in a coma kept alive by a life support machine. Assigned to look after her (hey, this is the official blurb – she isn’t exactly ‘assigned to look after her’ but it spoils it not one jot), a young care worker named Lucy discovers that the old woman is Madame Jessel, previously a ballet teacher of some repute and rumored to have hidden great riches inside the house. Determined to find the treasure, Lucy and two of her friends break in at night but uncover a darker secret that will throw them into a deadly labyrinth of supernatural hell.